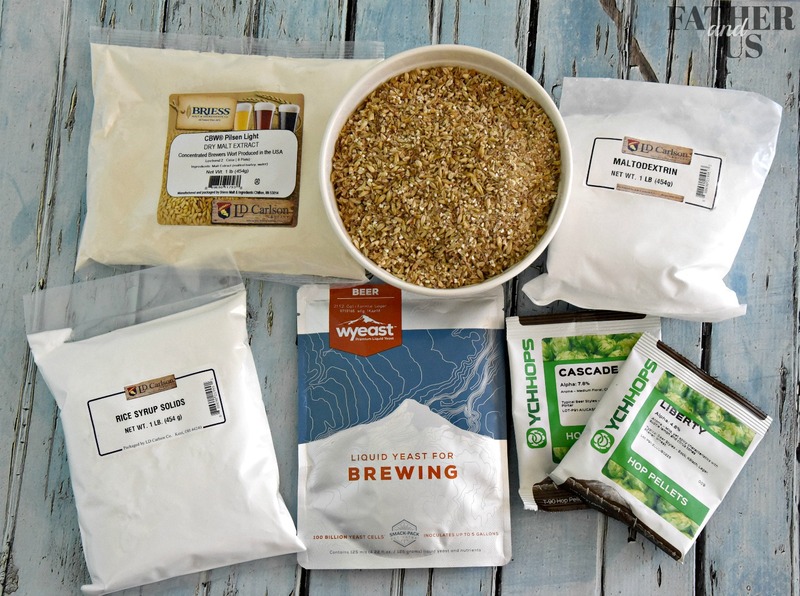 I have been homebrewing for about 5 years now. As much as I love it (and the beer that it creates), I have had one constant challenge. Making 5 gallons of beer at a time is A LOT of beer. I love to share it with family and friends but you can only give away so much. My wife is a beer fan, but she doesn’t like anything “too hoppy”. I love the hoppy stuff and not a huge “lager” or “pilsner” fan. One of my wife’s favorite beers of all time is Sun King’s Cream Ale. I find this beer to be… just a little boring and lacking of flavor. I’ve made her a Cream Ale before, but it certainly didn’t knock my socks off. 5 gallons of beer is a lot of beer to drink that doesn’t knock your socks off. So, finally, I’ve had the idea of Dry Hopping Cream Ale. I’ve always loved the smell of hops in my beer. I especially love the hops that have a strong citrus smell and literally want it to smell like a grapefruit when I hold it up to my nose. I have always suspected that it wasn’t the “hops” that my wife had a problem with, it was just the bitterness (or IBUs) of the beer. You can have a “hoppy” beer without it being too bitter. So, my idea was to make a Cream Ale and add Cascade Hops at the burnout and then also use those hops to dry hop with. I love using Cascade Hops as my aroma and flavoring hops. It gives it that citrus touch that I’m always looking for. It will do the same for this Cream Ale. Now, both my wife and I will have a great beer to sip on! If this recipe sounds good to you, also check up my homebrew recipe for a Kolsch Style beer. This one turned out fantastic and my wife even liked it! Just like usual, steep the grain at 150-155 degrees for 45 minutes. Remove from heat. Add Malt extract and Rice Syrup Solids. Return to heat and bring to boil. Follow boil schedule above. Bring to room temperature and add the yeast. Let ferment for 7-10 days. Transfer to secondary fermentation container and add dry hops. Continue to ferment until complete. OG=1.038-1.044 FG=1.011-1.014. Enjoy!